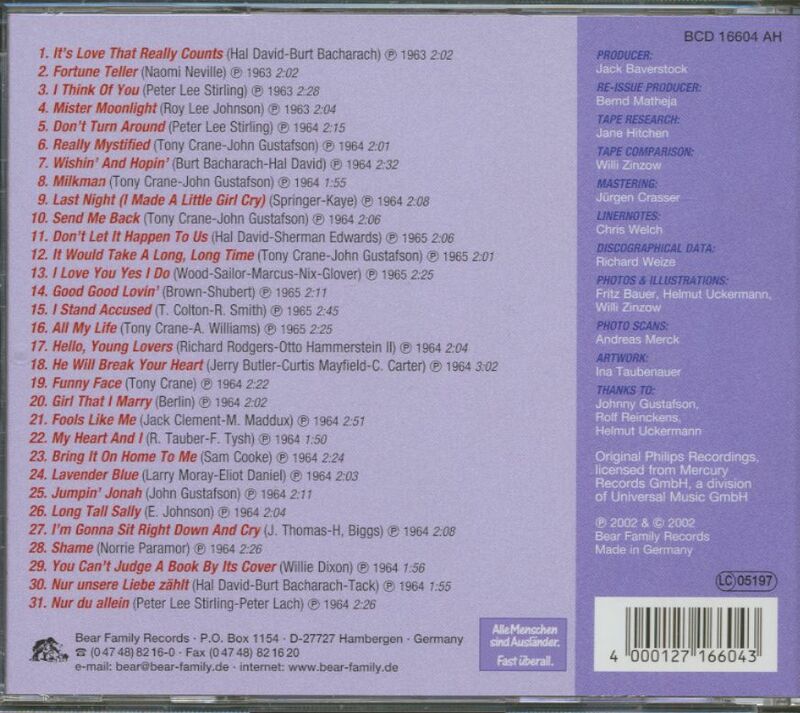 1-CD with 23-page booklet, 31 tracks. Playing time approx. 69 mns. The Star-Club’s 40th anniversary celebrated on three sensational new CDs! On April 13th, 1962, the now legendary Star-Club was opened in Hamburg’s red light district, St. Pauli. Forty years ago the Hamburg clubs cooperated with another sea port, Liverpool, to bring international stars to Germany. In Liverpool, another new band was launched every week, and most of them didn’t try their luck along the River Mersey but along the Elbe! They came to Hamburg where they had to play several hours a night, seven days a week. It was a hell of an apprenticeship! In 1964, the Star Club launched its own record label, but, prior to that, three bands from Liverpool’s early days got the chance to record singles, EPs, even albums. Now, with the Star-Club’s 40th anniversary, these fabulous, highly sought-after recordings are available again in excellent sound quality, packaged in original artwork, boasting very rare or unreleased bonus tracks! This ace sax blower started his long career in Liverpool back in 1959 with Derry & The Seniors. In 1961, he began fronting the Seniors, and the following year his first (and sole) album came out: an explosive mixture of Beat, Rock 'n' Roll and Twist, laid down by an excellent band with tremendous soloists. Casey spent a long time on Hamburg stages and even now is still an outstanding session musician. He has played for Paul McCartney among many others. The new Bear Family CD – Howie Casey's first after more than 40 years in the biz – presents the wild man at his wildest. It includes his complete original Fontana/Wing album (featuring the smashes Bony Moronie and the Boll Weevil Song), two extra tracks culled from singles and two previously unissued archival finds. Founded in the late '50s to back the now forgotten Johnny Sandon, this Liverpudlian foursome first played the Star-Club in July 1962, and made their 19 Philips recordings on March 1, 1963. Soon after they signed with PYE in England and went on to score many pop and folk-rock hits. This, though, is the rawer side of the Searchers. Hard, pounding beat music. All the Philips tracks are on this brand new CD: one original album, A&B sides of the singles, plus a miscellany of songs strewn around on compilations. Here are all the early Searchers classics like Sweets For My Sweet, Ain’t That Just Like Me, Sweet Nothin’s, Beautiful Dreamer, and many others. Nur du allein which are worth a fortune these days! 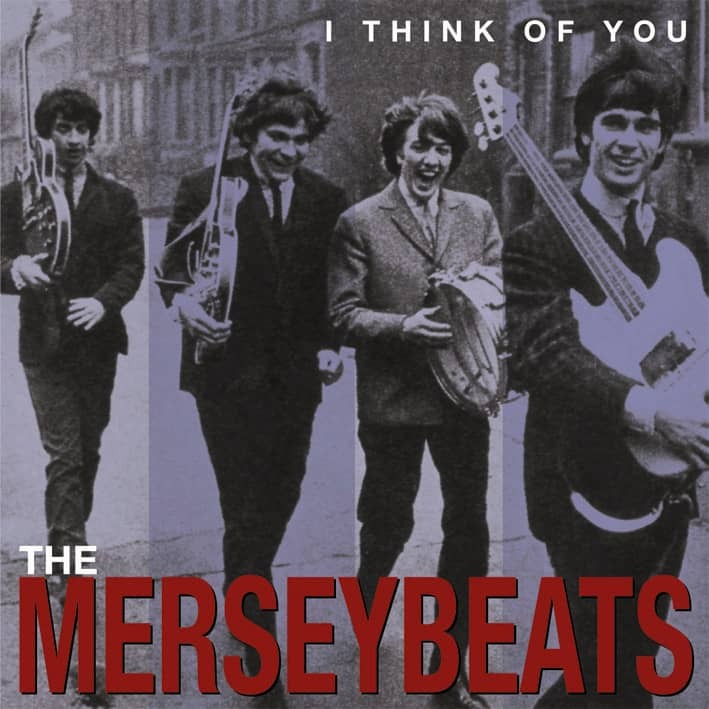 It’s Love That Really Counts, I Think Of You and Wishin’ And Hopin' are just some of the attractive, haunting hits that made The Merseybeats one of the most popular of all the great Liverpool groups. They emerged at the same time as The Beatles and for a while threatened to rival them as heroes of the Mersey scene. The founders of the group were Tony Crane (vocal, lead guitar) and Billy Kinsley (vocal, bass). As Liverpool school kids they listened to Elvis Presley and Little Richard and dreamt of becoming pop stars themselves. While still at school Tony (16) and Billy (15) formed a vocal duo called The Mavericks. When they saw The Beatles performing at The Cavern in 1962 they were blown away and decided to form their own group. The line-up included Tony and Billy, David Elias (guitar, vocal) and Frank Sloane (drums). For a while they were known as The Pacifics, then Aaron Williams and John Banks replaced Elias and Sloane and they changed their name to The Mersey Beats in February 1962. In April 1962 the group played at The Cavern for the first time and secured a lunchtime residency. Tony and Billy gave up their day jobs as clerks in order to concentrate on a musical career. It became their proud boast that they supported The Beatles at The Cavern on more occasions than any other group. The next step was to shorten the name to The Merseybeats and the hot young act was signed to the Fontana label in June 1963. They were even managed by Beatles’ mentor Brian Epstein for a while, but decided to split from Brian after a disagreement about their stage image. 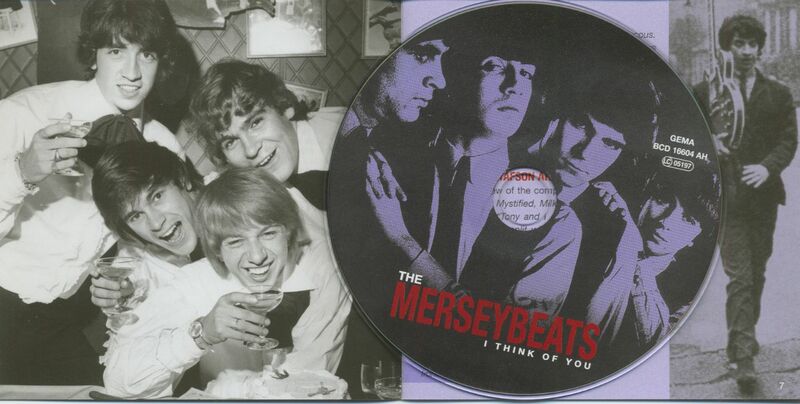 The Merseybeats’ first hit was an excellent 'reading' of the Hal David and Burt Bacharach song It's Love That Really Counts that got to #24 in the UK singles charts in September 1963. But their biggest hit was I Think Of You written by Peter Lee Stirling, which shot to #5 in January 1964. Both tracks were also recorded for a single in the German language, Nur unsere Liebe zählt/Nur du allein, a sought-after collectors’ item these days. These haunting, yet lusty vocal performances epitomised the character of Liverpool's pop scene. Strength, romanticism and a down to earth attitude prevailed. A sense of humour and cheeky confidence also helped make the rest of the world sit up and take notice. Soon The Merseybeats were touring Britain and Europe, playing to hysterical hordes of screaming fans. Billy and Tony continued to enjoy chart success and Don't Turn Around' got to #13 in April 1964. But the rollercoaster ride of stardom had taken its toll on the young musicians. Billy Kinsley left for a while to recover and subsequently formed an outfit called the Kinsleys. Meanwhile The Merseybeats' Wishin' And Hopin' got to #13 in July that year. Last Night (I Made A Little Girl Cry), was not quite so successful and just scraped into the Top Forty in November. 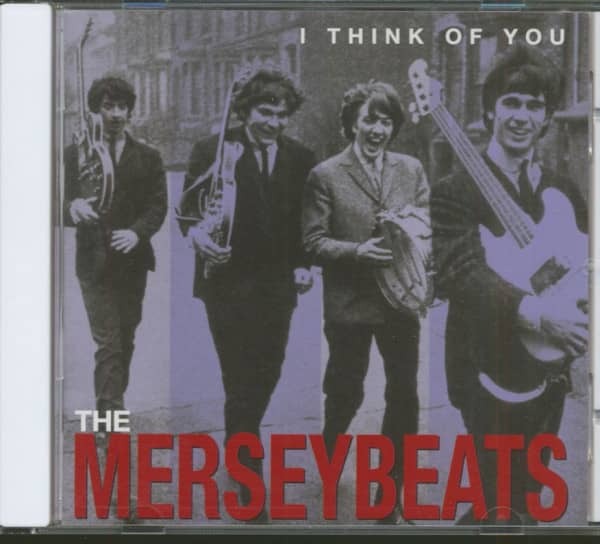 The group's only album, 'The Merseybeats' (1964) featured standards and ballads like Rodgers & Hammerstein's Hello, Young Lovers. However, an EP titled 'On Stage', although not 'live' the title reminded Johnny Gustafson that their 'live' performances were much tougher. Gustafson toured and recorded with The Merseybeats during the period Billy was out of the group. He also wrote some of the material the band used on the studio album. "I think we made the record in ten minutes" , laughs Johnny. "Fontana didn’t want to spend any money. They just wanted to knock an LP out quickly, to capitalise on the hit singles." Johnny (born August 18, 1942) had been a member of such early Liverpool bands as Cass & The Casanovas and The Big Three, a powerful unit that often played The Star-Club, Hamburg. Some forty years after these events, Johnny Gustafson lives peacefully in Whitstable, Kent, but has fond memories of the crazy Sixties. "I joined The Merseybeats in the New Year of 1964, just after The Big Three had split up. Brian Griffiths the guitarist and I decided to team up with another drummer and we drove around Europe in search of gigs. We went to Copenhagen and Hamburg and ended up in a Frankfurt club called the Arcadia. Then we got fired for being too loud. It was ridiculous. I ended up singing without a microphone, but the club owner wouldn’t have it and he fired us. Just before we were due to quit, in walked a couple of The Merseybeats and their manager. "Their bass player Billy had decided to quit for some reason and Tony Crane and Aaron Williams asked me to replace him. The group were very young when it all started to happen for them. I remember them telling me they had supported Little Richard at the Tower Ballroom in New Brighton when Billy was still only sixteen. The Merseybeats were supposed to be a ballad style group. They were known for their vocal harmonies. But it turned out their stage act was quite wild and raucous. They'd play Little Richard and Bo Diddley numbers and they were an extremely loud, roaring band. The Big Three were also known for being a loud band, but I didn't tell Tony we had just been fired! 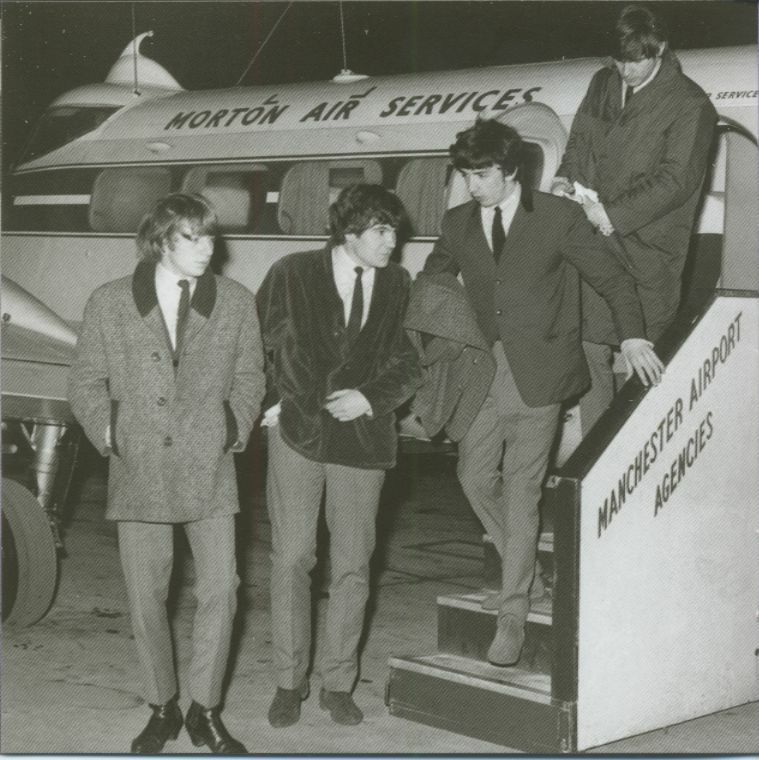 I played my first gig with The Merseybeats the day after I came back to London from Frankfurt. The line up was myself, Tony, Aaron Willams and John Banks, who died in 1988. Tony was a very friendly 'Scouser' and I slotted in with the group very well." Crane and Gustafson are credited with quite a few of the compositions on this CD, including Really Mystified, Milkman and See Me Back. Says Johnny: "Tony and I decided on a 'Lennon & McCartney' style split when we wrote these songs, although that didn’t necessarily indicate who wrote what. 'Really Mystified' was the first song I ever wrote when I was 16 and living in Liverpool. I just changed the lyrics for this version. It was originally called 'Baby Please Don't Go' would you believe. We recorded this version as a B-side of a single in a little studio in Bond Street. 'Milkman' was written in a hotel room in Lancaster Gate while I was sitting on the bed." Customer evaluation for "I Think Of You - The Complete Recordings (CD)"